A photo I.D. 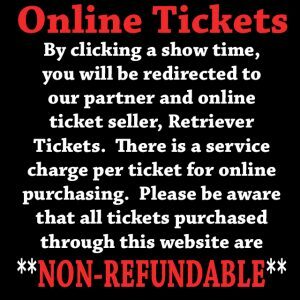 is required to purchase a ticket for an R rated or NC-17 rated movie! Anyone under the age of 17 needs to have an adult 21 years of age or older, with photo I.D., in attendance to see an R-rated or NC-17 movie. GIFT CARDS AVAILABLE FOR PURCHASE, IN PERSON, AT OUR BOXOFFICE!